April 15, 2012, Washington, DC: I took a long walk with friends yesterday morning across the grounds of UVA, beyond the Charlottesville they know as adults and back into the Charlottesville they knew as students. 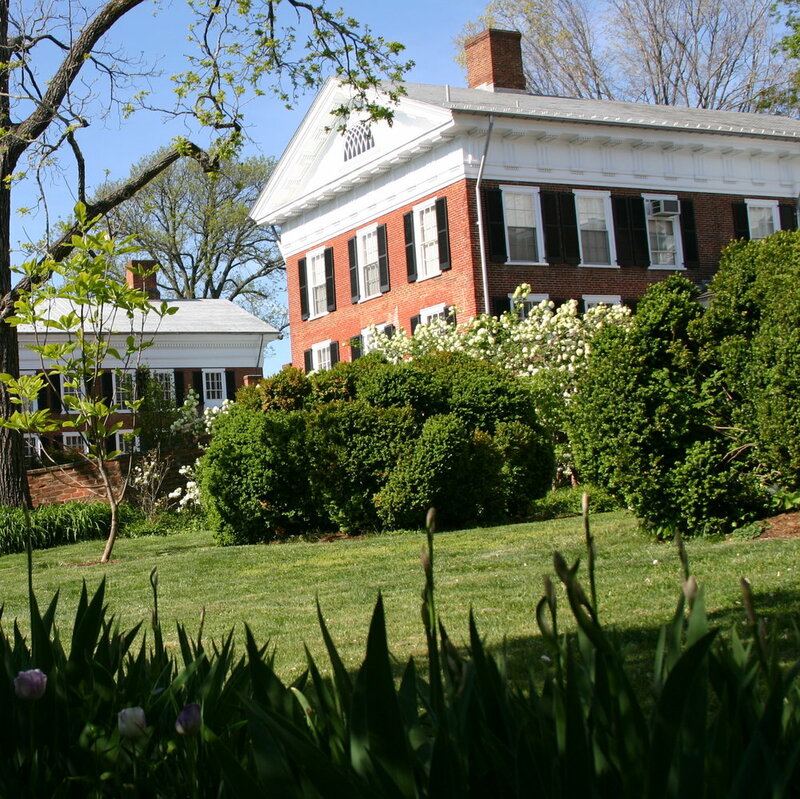 The University of Virginia in springtime is not to be missed at any age. It was admitted students weekend and tours speckled the lawn. These dorms along the lawn are reserved for the most active and engaged students at the end of their undergraduate tenure, and I would guess many of the high school students visiting this weekend could envision a future here, making a home for themselves in the tiny rooms along this columned corridor. A mini-golf tournament of sorts was underway as teams of undergraduates played outside. One of the trickiest holes had students putting golf balls down into the amphitheater. Like many visits before, this one included a stroll through the university's secret gardens. Several of them are lined by gorgeous, curvy, red brick walls. All of them have me dreaming of falling asleep in the sun. It's hard to imagine this was the neighborhood so many of my friends once called home. It's harder still imagine the serene oasis professors find here if they are lucky enough to live on campus. Just think if this were your home, if this secret garden was the backyard you saw out the kitchen window making breakfast. We walked to the Corner, the hub of undergraduate life here in Charlottesville. As usual, the line at Bodo's Bagels was long and the stream of people running by Mincer's was constant. I took this photo below on a previous trip several years ago. It could have been early morning yesterday. Just by the Corner on Elliewood Ave., outdoor patios are tucked away beneath the trees at the end of the road. I've always liked this nook near campus. Back in the day, my friends liked Coupe De Ville's most of all. They were saddened to find it closed when they returned this weekend. Luckily, the new manager came by and reassured them it was not gone for good: This patio full of their memories would be cleaned up and back in action soon, same as always. The news made their day.